Danes say “Handball is back home”. If you know that Denmark has population about 5.700.000, and that final was followed by 2.7 mill (in some moments over 3.000.000), then you can realize why handbold is now at home. 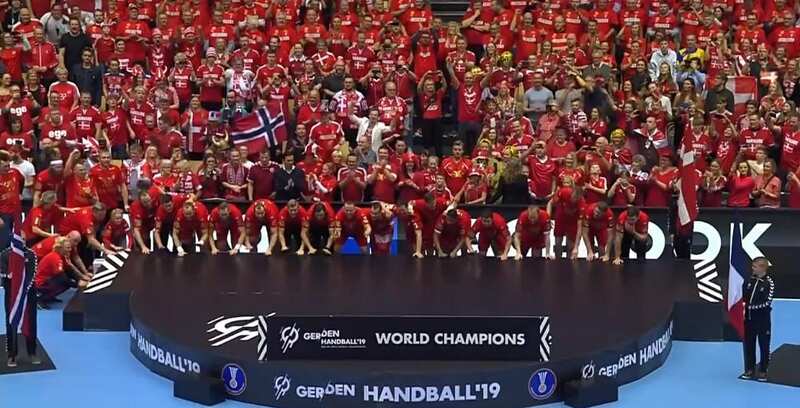 Danes and Germans arguing about where handball belongs, so this Championship was a perfect chance for them to make it clear in the glory of our sport. Exactly 112 years since first handball match was played in Denmark, world’s title came, the only which was missing in the collection. They have been waiting for so long, and they deserved it. The first European gold from Lillehammer 2008 was a pick of one generation which wasn’t as talented as this one with Hansen and Landin. Spellerberg, Boldsen, Kristiansen, Knudsen, Jensen, Hvidt, they were an amazing team, but there weren’t able to touch the sky like the kids which were coming after them. Mikkel was newcomer in Beijing 2008, while Niklas had to wait five months more for debut in Porec at World Championship 2009. 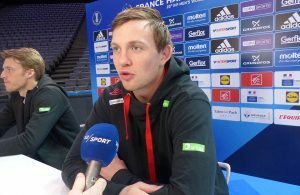 Urlik Wilbek taking carefully changing of generation in Danish team, until 2012, when became clear that Denmark (EHF EURO 2012 gold) got not only Mikkel Hansen and Niklas Landin, but also Rasmus Lauge, Nikolaj Markussen, and after it, Mensah Larsen. Three coaches have brought the three different gold medals for Denmark. Wilbek took two European titles mixed with three final defeats at WCh 2011, WCh 2013 and EHF EURO 2014. It was a time for a change. System upgrade did Gudmundur Gudmundsson. Tough guy, players didn’t like him, media also, but the most valuable trophy in the world of handball – the Olympic one, came in Rio, after a disappointing start at Qatar 2015. Another blow at France 2017, forced Gudmundsson to leave, but system and atmosphere stayed stabil. The best domestic coach opens the doors, Nikolaj Jakobsen, probably the only one, who made it amazingly good on two different road – with Rhein Neckar Lowen and Danish team. The coach who is famous for his good relationship with the players out of the court and demanding “red-face” look in his job on 40×20. He put a team on another level and put the icing on the cake – with bringing world’s gold.